Good nutrition and a balanced diet is important for the elderly. Dr Lim Si Ching, Senior Consultant, Geriatric Medicine from Changi General Hospital shares some healthy eating tips for seniors. ​can be encouraged - one way is to have company during mealtimes. Research shows that eating meals with others tend to promote better nutritional intake. 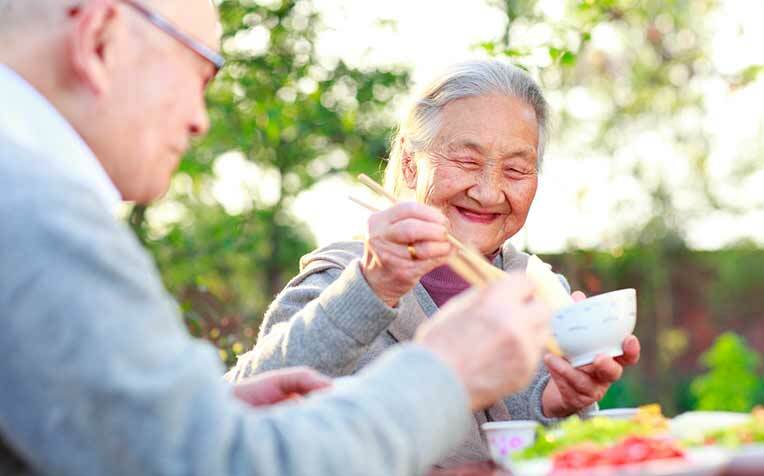 Dr Lim Si Ching, Senior Consultant, Geriatric Medicine from Changi General Hospital (CGH), a member of the SingHealth group, shares some healthy eating tips for seniors. Early identification of elderly at risk of poor nutrition allows for intervention strategies to reduce further weight loss and lean muscle loss. Nutritional support also reduces mortality and morbidity. Good nutrition and a balanced diet is important for the elderly, and this includes adequate calorie and protein to help ensure that the body weight and BMI are maintained, so as to reduce the risk of muscle loss and strength. Have somebody accompany the elderly during mealtimes. Research shows that eating meals with others promotes better nutritional intake. Meals consumed in a group are up to 46 per cent larger than meals eaten alone, and the more people there are at mealtimes, the greater the intake. 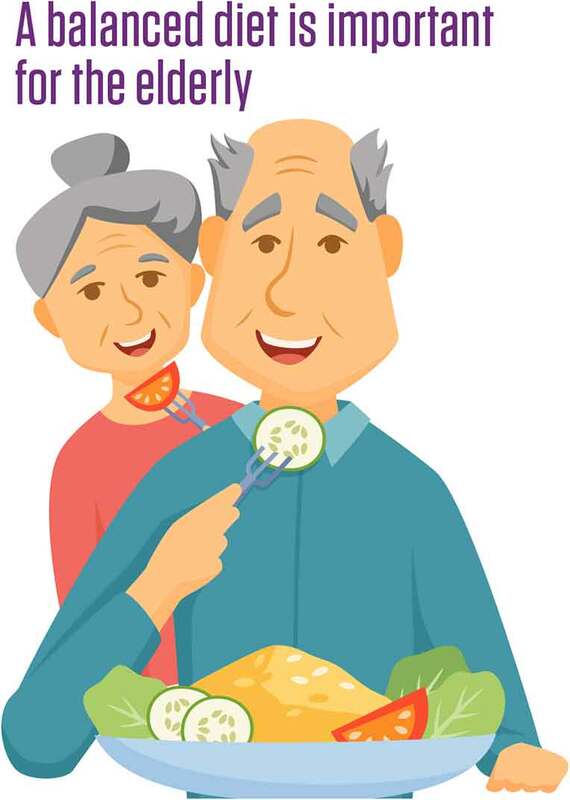 If an elderly person is facing any problem with eating adequately, there are ways to fortify the meals or improve nutrition with an oral nutrition supplement as advised by a dietitian. There are increasingly more older patients requiring surgery, which are more complex because of the elderly’s diminished physiological reserve, presence of one or more additional diseases, and cognitive impairment. They are at higher risk of developing post-operative complications and the mortality rate is higher compared to younger patients. In addition, surgery involves damage to tissues, which disrupts the body’s metabolism, causing a breakdown in muscles and fat to allow for increased energy requirements and healing of wounds. Elderly patients who would undergo certain surgeries are sometimes put on a nutritional supplement before the operation to build up their nutrients and energy stores to balance out the higher requirements after the surgery. However, some surgeries do not require prolonged periods of fasting pre- and and post-operation; the elderly are allowed normal feeding and mobilisation to encourage quick recovery back to health.